“NPS is the KFC of satisfaction scores – it’s everywhere and not good for you”. Jared Spool isn’t a fan of Net Promoter Scores. They are a poor metric, weirdly calculated and easily gamed. Jared says we need to stop using NPS and pay attention, proper attention to our customers. On May 25, 2018, GDPR comes into effect throughout the EU. Heather Burns joins us to help us understand the implications. After over 6 years, UX Podcast is re-branding. Updating or changing your brand doesn’t happen in a vacuum, it impacts everything, including the user experience – but that impact is, in our experience, often overlooked or underplayed. We talk to Jon Bergsman, founder of WDW Creative who have been working with us and our new brand, about the branding process and it’s similarity to the UX design process. We need to ask the big hard questions at the beginning of the process so we can make good design decisions later. We talk to Dan Brown about the discovery phase or perhaps as Dan suggests the discovery mindset. We get a reintroduction to information architecture with Donna Spencer. Donna shares with us some of the methods and tools she teaches as part of her workshops as well as look at some of the challenges that information projects can throw at you. Per recently launched a service called DickPicLocator to highlight not only the bullying and abuse many people face through digital media, but also the amount of data that we are (often unwittingly) sharing. 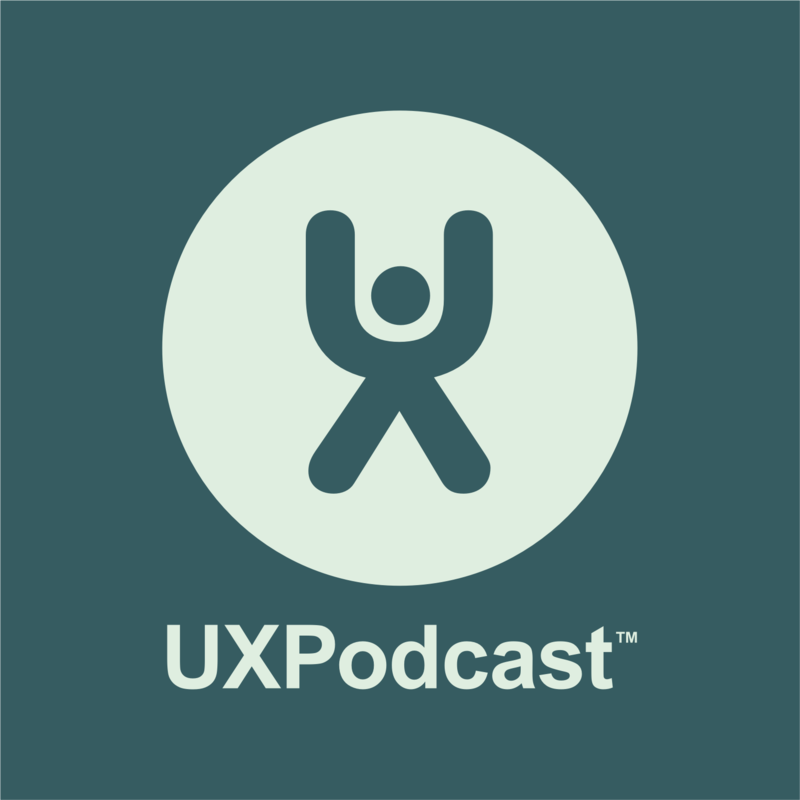 Donna Lichaw returns to UX Podcast for another chat, this time we focus on how stories could be used when working with Enterprise UX. Donna is the author of The User’s Journey. In the book Donna explains the idea of storymapping. How, when, and why to use narrative structure in your design work.